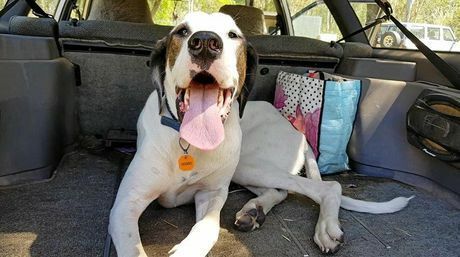 In Nanango, Queensland, Serafina Foran had been searching for her missing dog for a week. 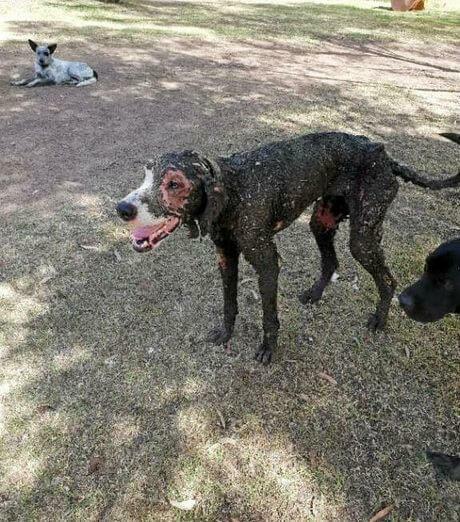 On Sunday afternoon, he was found – covered in tar. Sadly, the dog’s physical condition was so severe, he was humanely euthanized. 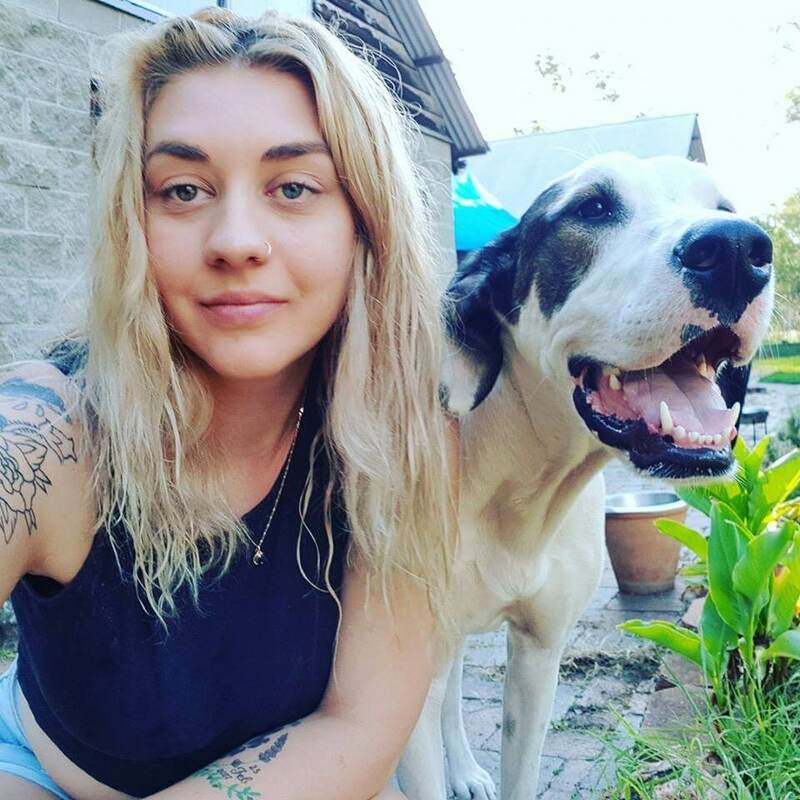 According to the South Burnett Times, the two-and-a-half-year old dog named Miki was a Great Dane and Greyhound mix. It is not known if he had been beaten because there was so much tar covering him, no one could tell. Unanswered questions remain – was he trapped? Was he abused and then tar poured on top of him? Miki was known as an escape artist, and although Serafina said she tried everything to keep him at home, chasing rabbits was just one of his passions. Whenever he and the other dogs in the family would go out for walks, they took the same path, and if Miki was out wandering, a neighbor would call and report his location. That was the routine until a week ago when the dog just seemed to have disappeared. No one can figure out why anyone would have abused the rescue dog Miki; he was friendly, sweet and very lovable. “To whoever did this, I hope you rot in hell,” Serafina told reporters. Anyone with information is asked to contact the RSPCA Emergency at 1300 264 625 and reference case # 749912.